Yuma has many sports, service, and charity organizations. This is a partial listing of some of the fine organizations that work for the betterment of Yuma Arizona. Many of these organizations operate Yuma Thrift Shops and Second Hand Stores. Amberly's Place houses professionals who are specially trained in dealing with victims of child abuse (both physical and sexual), domestic violence, sexual assault and elderly abuse. Show Caballeros de Yuma on map! Sponsors special events such as Midnight at the Oasis and the Colorado River Crossing Balloon Festival. Also provides scholarships to senior high school students graduating from Antelope, Kofa, Cibola, Yuma and San Luis High Schools. Show Crossroads Mission on map! The purpose of Crossroads Mission is to help disabled, disadvantaged, and disenfranchised individuals and families achieve a better quality of life! Show Girl Scouts of Southern Arizona on map! Serving girls in Yuma County from ages 5-17. Girl Scouting builds girls of courage, confidence and character who make the world a better place. Although the traditions of Girl Scouting, particularly its vast array of outdoor activities and the cookie program which teach girls self-reliance and leadership skills, are still very important to the Girl Scouting movement, Girl Scouting has evolved to address some of the most prevalent systemic causes behind illiteracy, poverty, obesity, hunger, homelessness, and violence. Contact us and learn how your daughter can begin her adventure in scouting today! Show Hospice of Yuma on map! provides compassionate care for terminally ill patients and their families. Show Humane Society of Yuma on map! The Humane Society of Yuma is a non-profit organization dedicated to the welfare of animals. 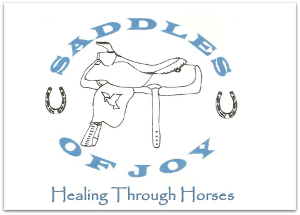 Show Saddles of Joy, Inc. on map! Show Soroptimist International of Yuma on map! Soroptimist International of Yuma is a local women's non-profit group of women committed to helping women and girls. Check us out on facebook or our website www.soroptimist.org We meet the first and third Wednesday at Noon at the Ramada Chilton Inn on 32nd Street. We do not meet May to August. Stop by and see what our club is about. Our big event is the Celebrity Chef every February! We have a wonderful chef from the Food Network to entertain you while preparing a wonderful meal for charity with a great live and silent auction. Call Jule at 343-9505 to find out how you can be involved! 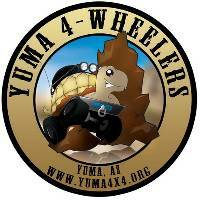 Yuma 4X4 is made up of a random collection of people who are dedicated to 4-wheeling, having fun, helping our community, keeping our Public Lands "Public", and our trails open. We don't have meetings and we don't charge dues. You simply participate when you want. We have an organized Trail Run at least twice a month and our trails range from easy to X-difficult (our Trail Rating system is geared for street legal vehicles). We do not go out to bash our rigs. Infact, most members' rigs are daily drivers and we need them to get us back and forth to work, etc during the week. New members are always welcome! Founded in 1980, the Yuma Community Theater is made up of volunteers who love to put on local theater productions. To produce works of theater. To promote community interest and support of livetheater. To provide opportunities for members to participate in various phases of theater work. 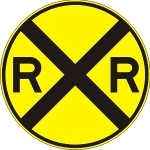 The Yuma Model Railroaders are an active group in Southwest Arizona with interests ranging from full-size railroads to model railroads of all scales. Encouraging everyone to enjoy all forms of "The World's Greatest Hobby", the YMRR has meetings and work sessions that occur throughout the month. An operating portable HO Scale model railroad is presented at various locations around Yuma throughout the year. If you enjoy railroads of any size or scale and are interested in joining a group of positive members to have some fun we would like to invite you to come out and join us. Show Yuma Territory Live Steamers on map! The Yuma Territory Live Steamers is a 1/8 scale railroad club with 501(c)3 non-profit status. The purpose of the Yuma Territory Live Steamers is to preserve the heritage of railroading by establishing, operating and maintaining an educational operating facilities for the free use and enjoyment of the public using scale model railroad equipment. 2nd & 4th Sundays from Noon until 4:00pm. Are you aware of a worthy organization in Yuma or Imperial County?